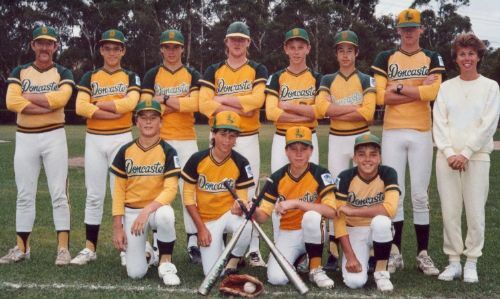 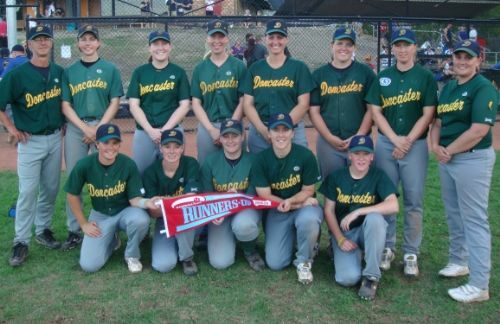 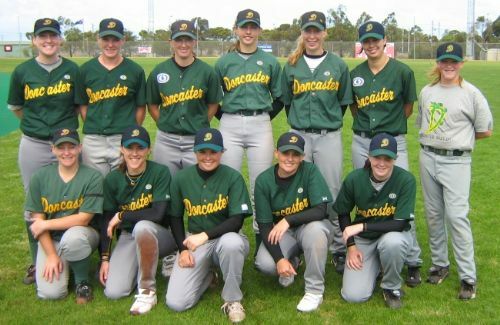 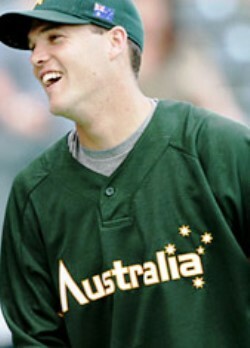 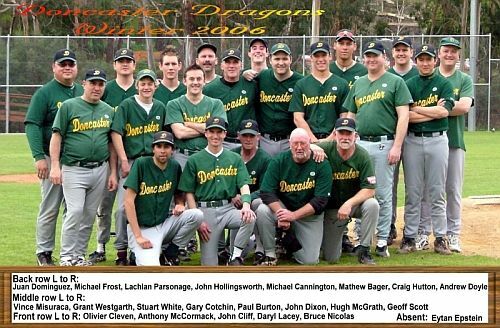 The following Dragons have played in US pro-ball and/or have played on a Senior Australian team. 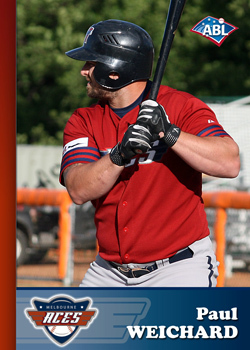 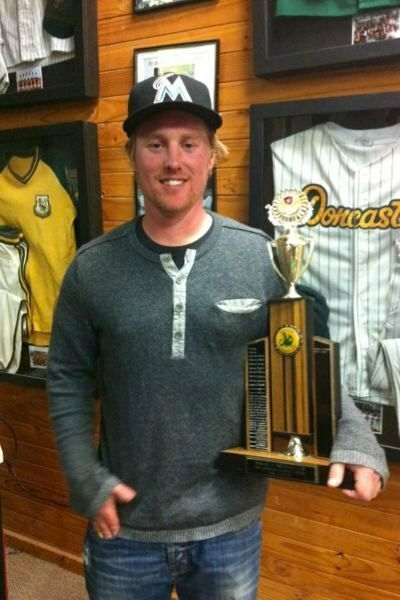 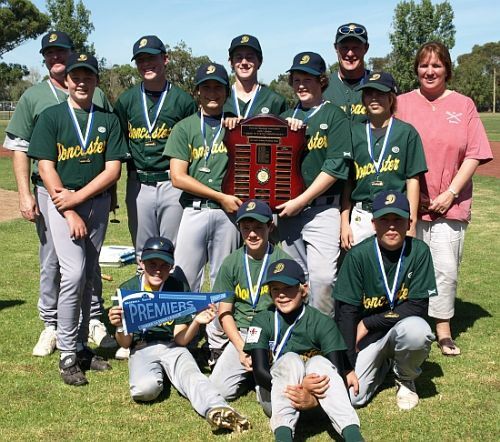 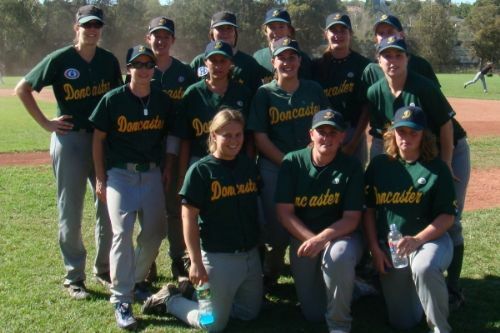 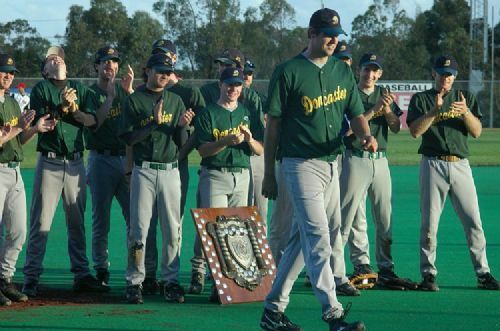 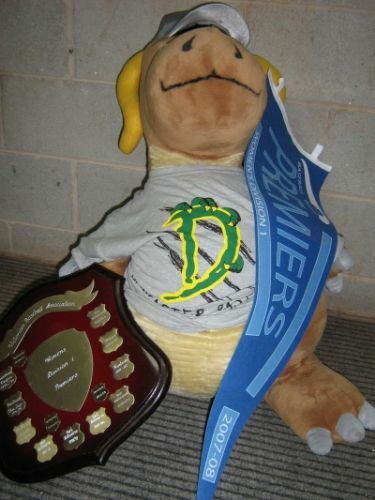 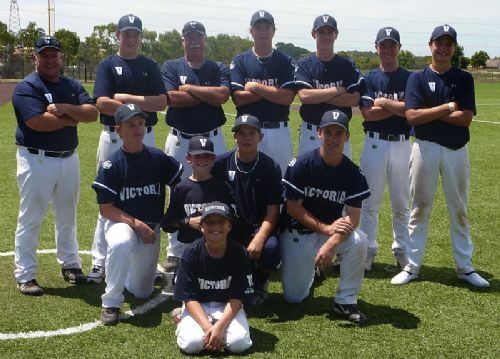 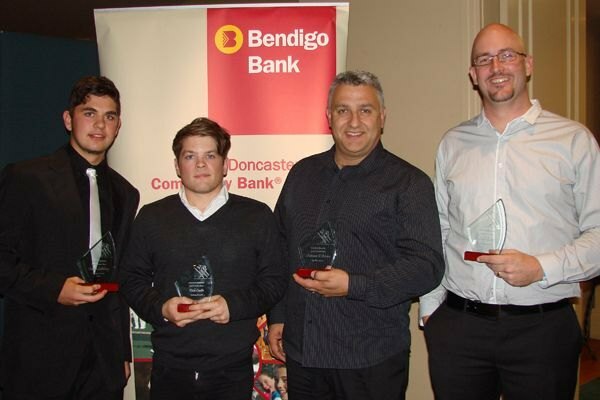 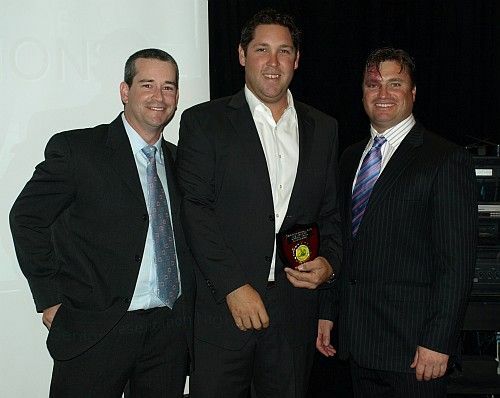 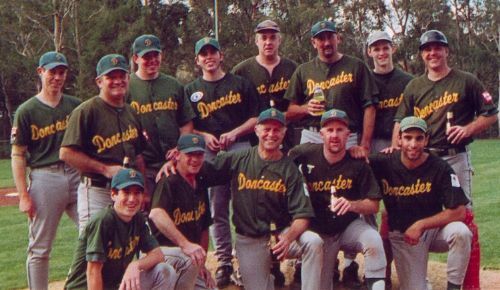 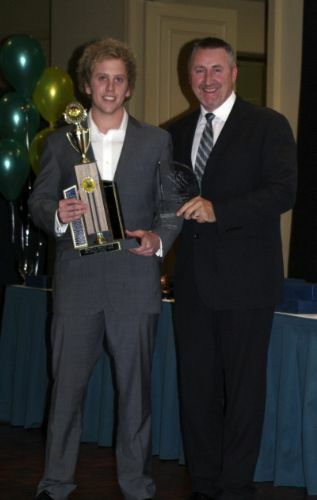 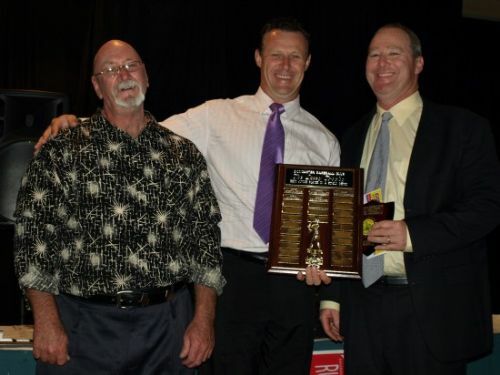 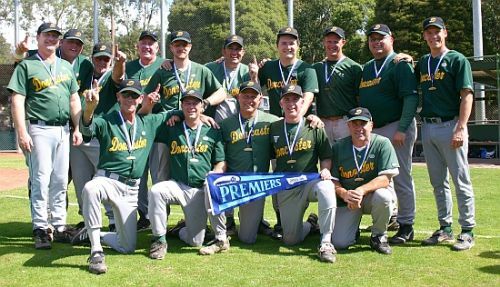 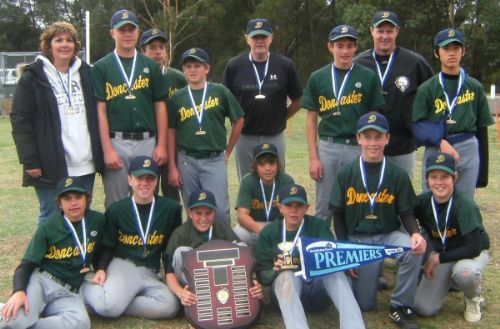 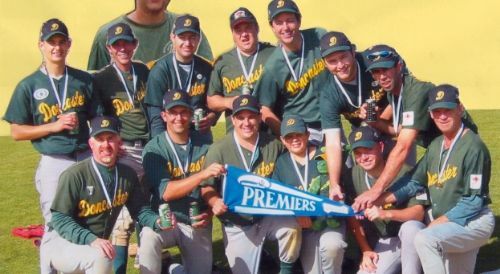 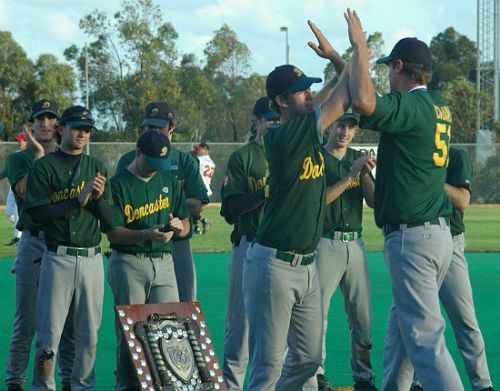 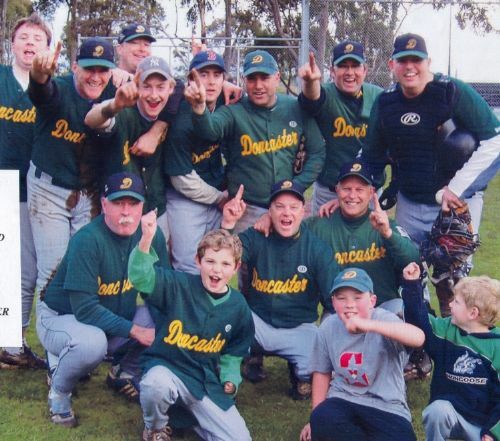 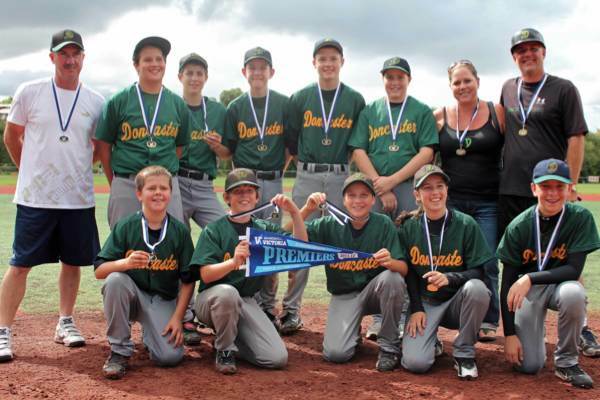 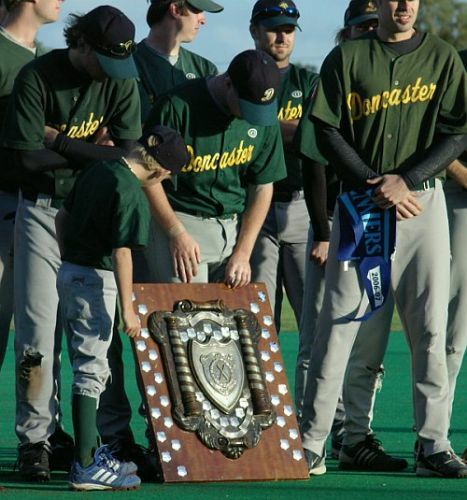 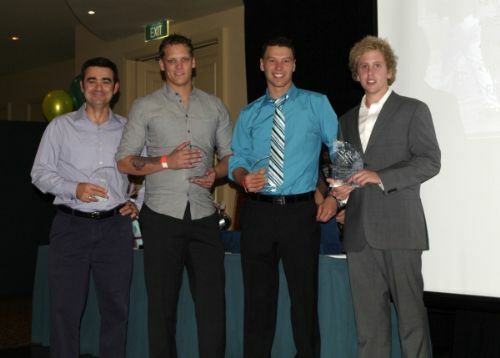 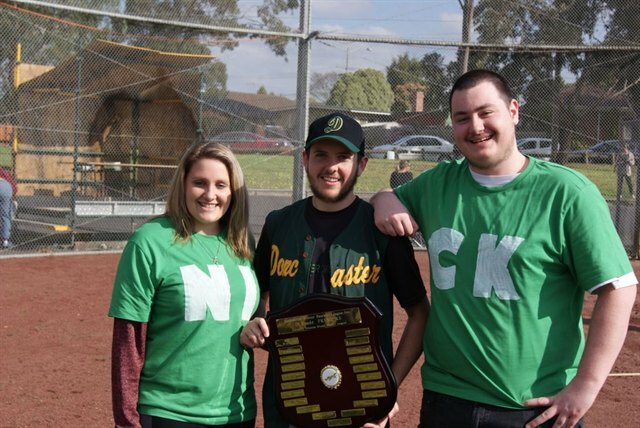 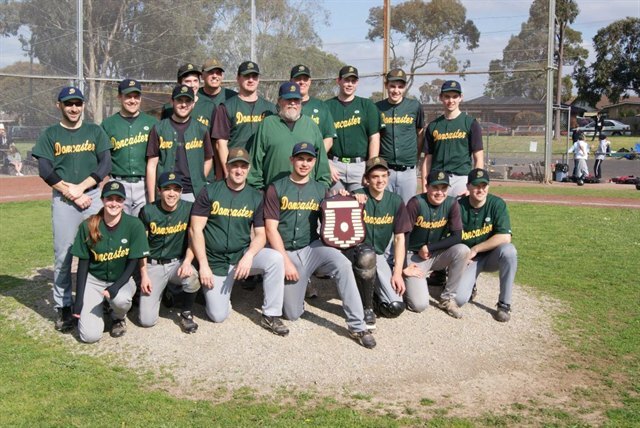 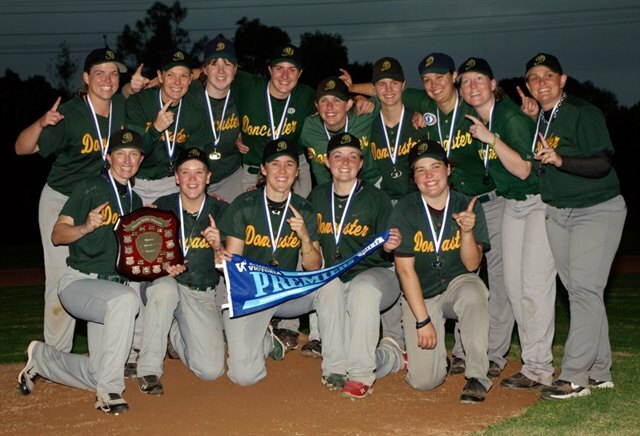 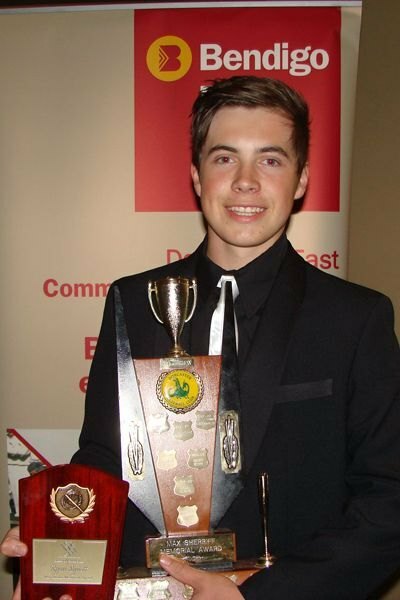 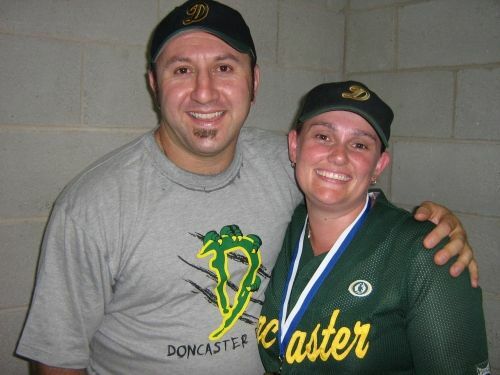 Doncaster Dragons pitching ace Luke Westphal dominated opposition hitters and re-wrote the record books in his 2014/15 League MVP season in Victorian baseball. 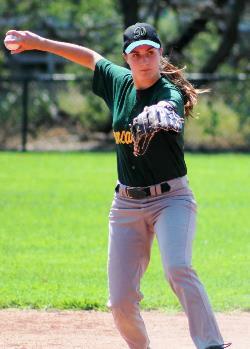 Westphal struck out 151 hitters in a stunning 86 innings of work in 16 starts with a miserly ERA of just 1.15. 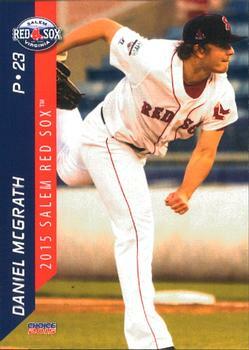 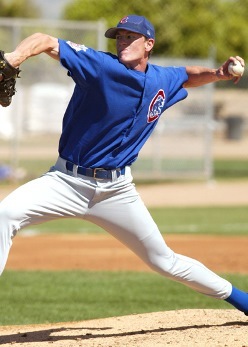 He struck out a rather amazing 1.76 hitters per inning. 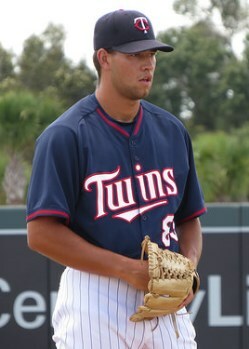 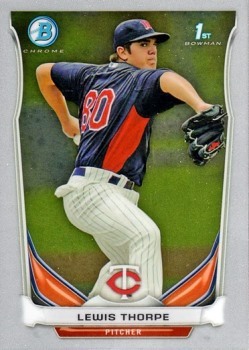 Westphal’s dominant Summer resulted in him being signed to a professional contract by Minnesota Twins. 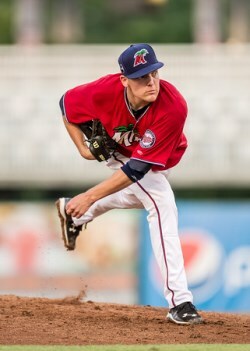 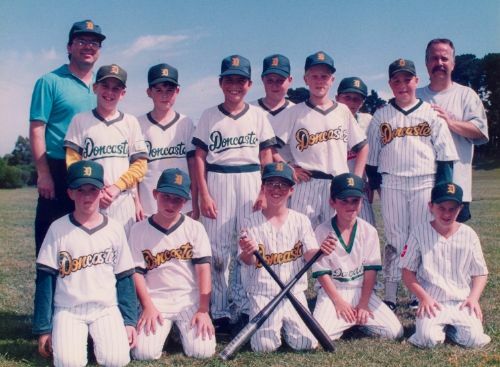 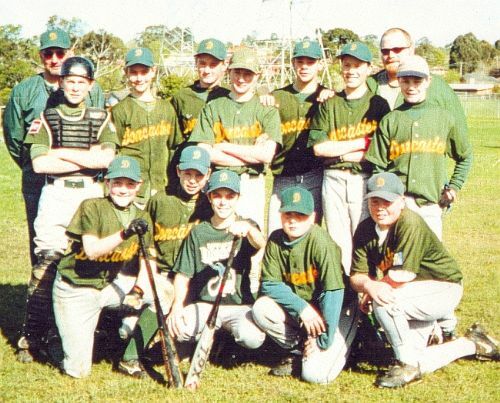 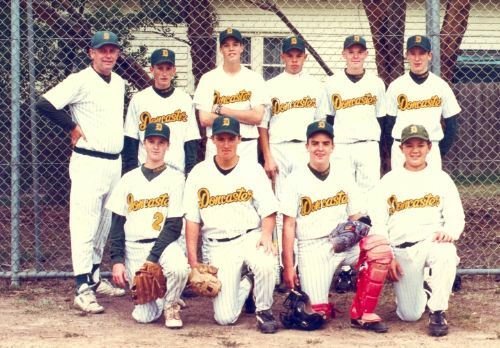 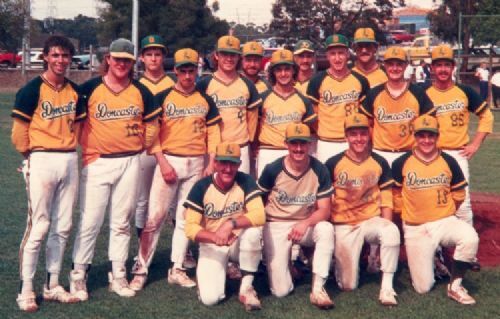 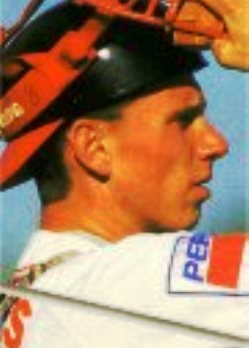 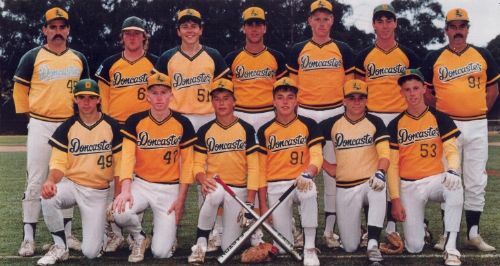 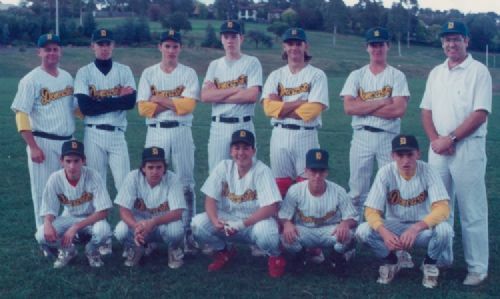 Remarkably, Westphal became the third Doncaster Dragon in the Minnesota organisation as he joined fellow Dragons pitchers Lewis Thorpe and Matz Schutte in the Twins Minor League system. 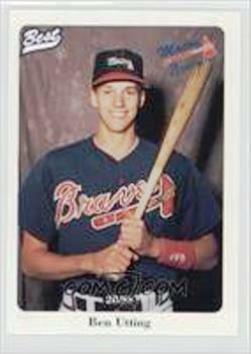 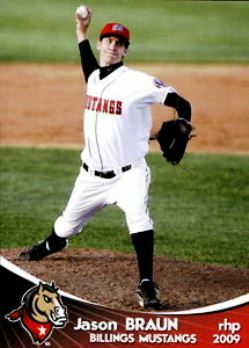 Westphal played high school baseball in Clintonville Wisconsin, which is his home town and then went on to play college baseball for 4 years at the University of Wisconsin-Oshkosh. 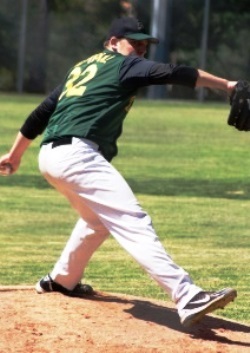 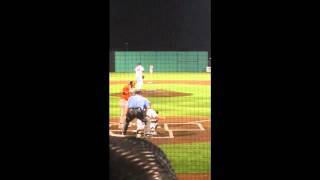 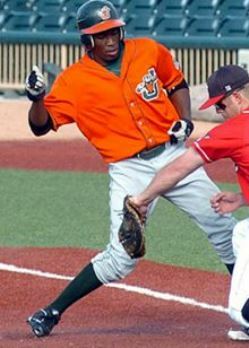 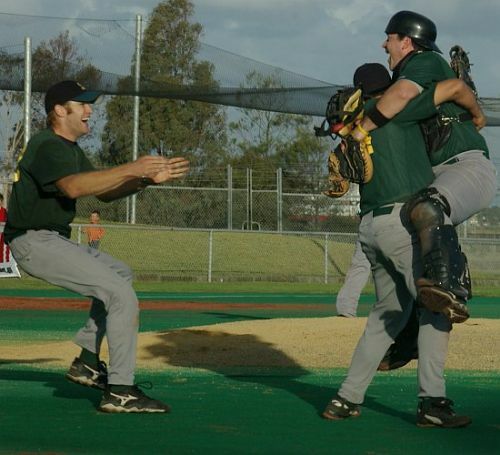 After college Luke signed with independent Frontier League club the Gateway Grizzlies in St. Louis Missouri, playing as a reliever with them for 2 years prior to joining the Dragons. 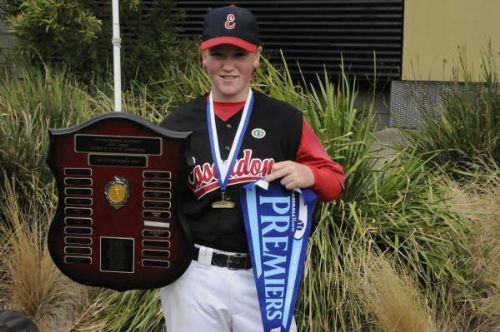 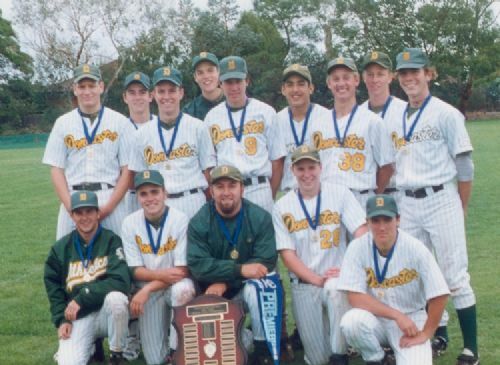 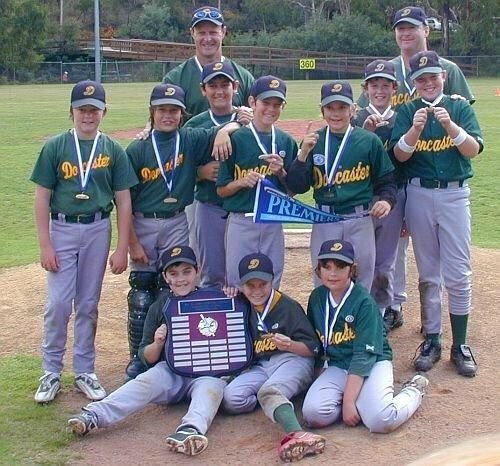 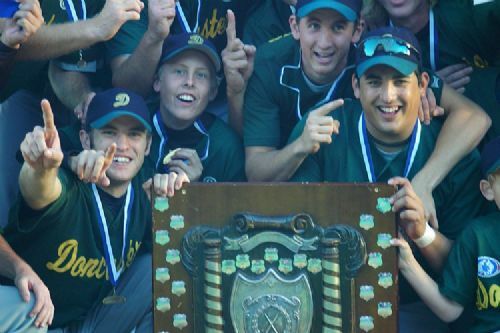 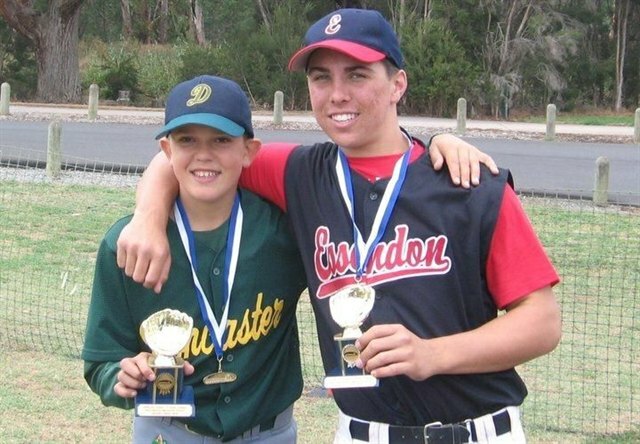 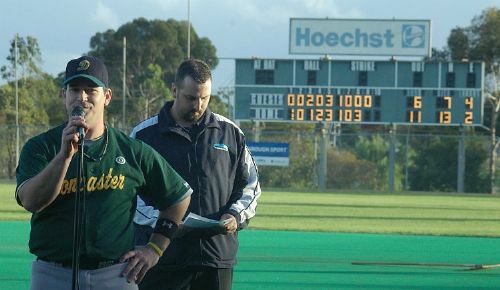 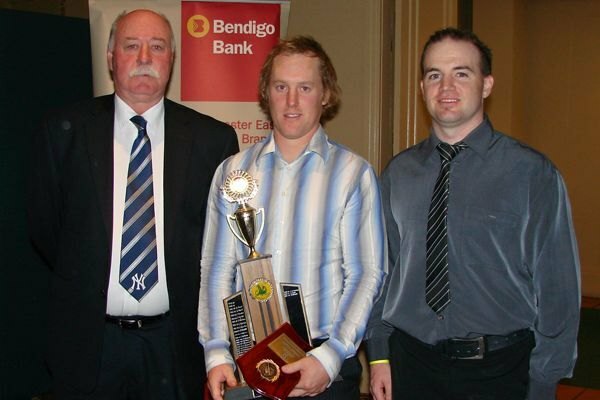 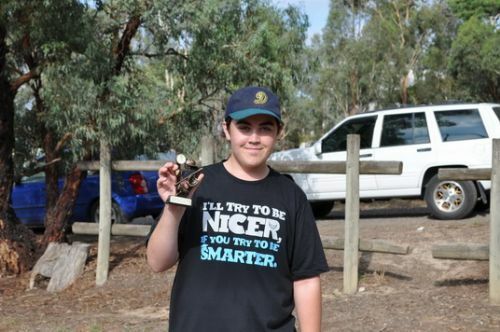 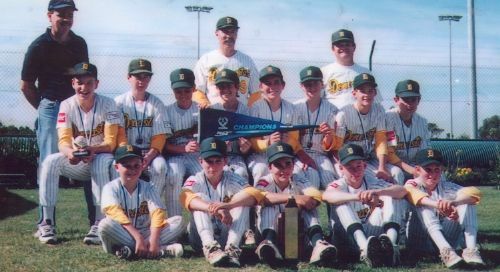 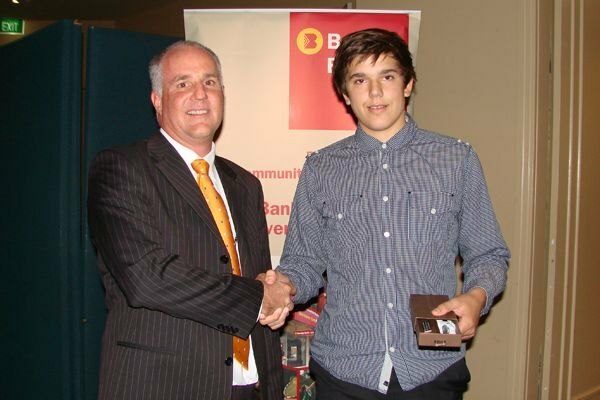 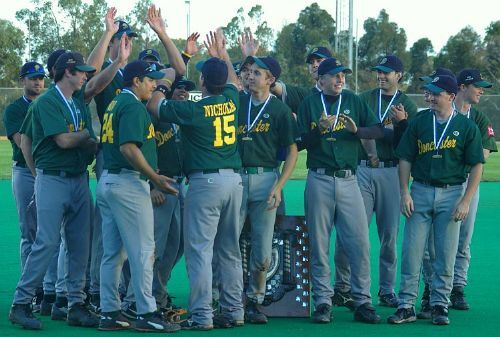 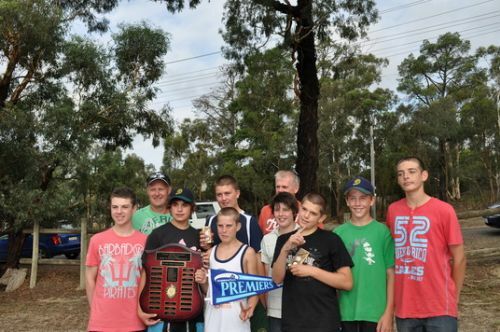 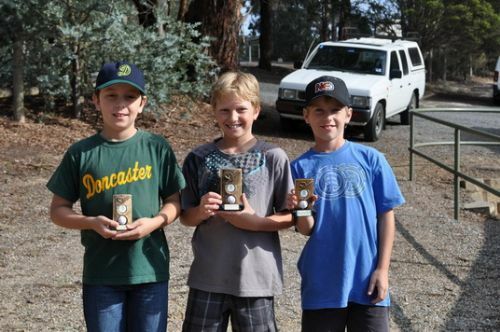 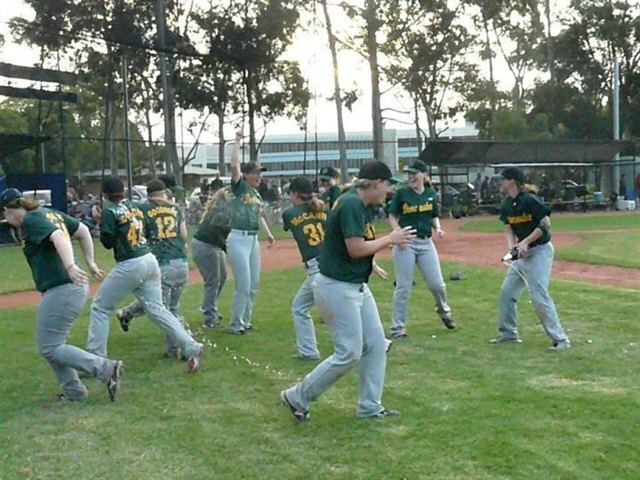 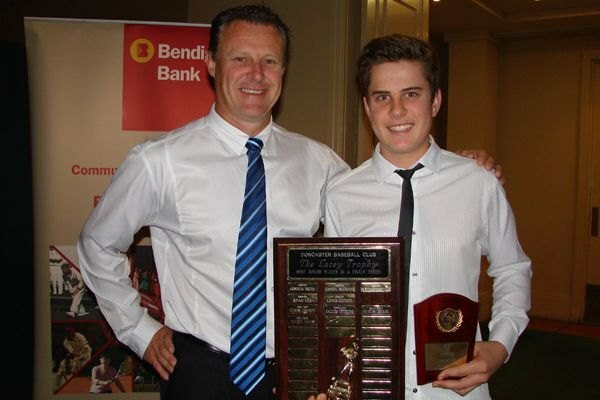 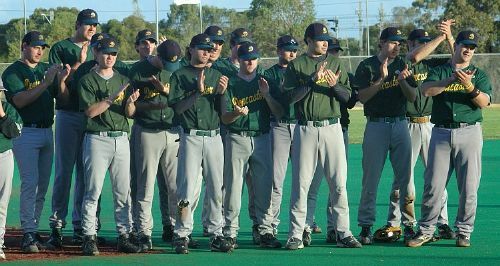 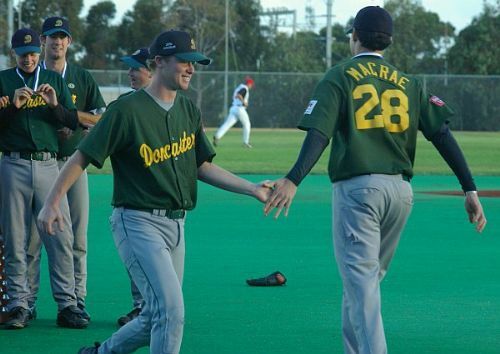 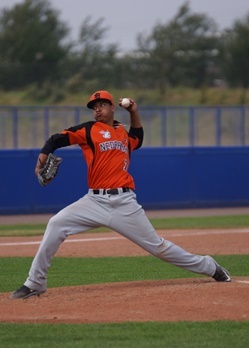 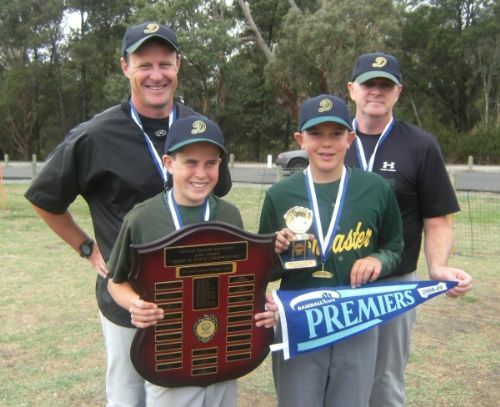 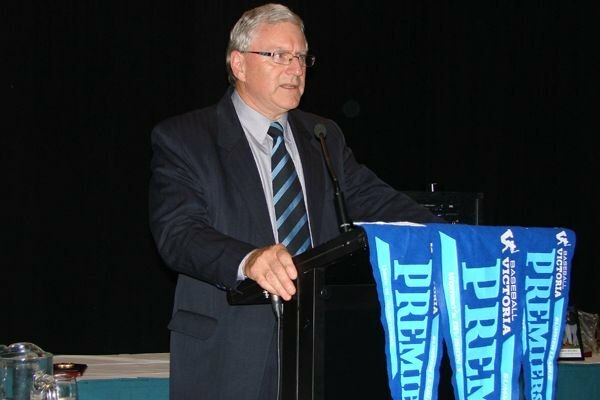 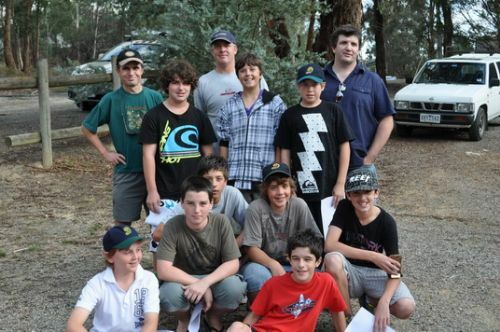 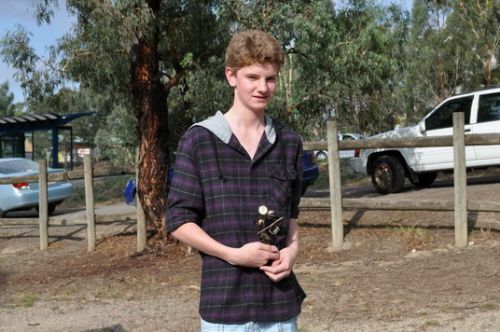 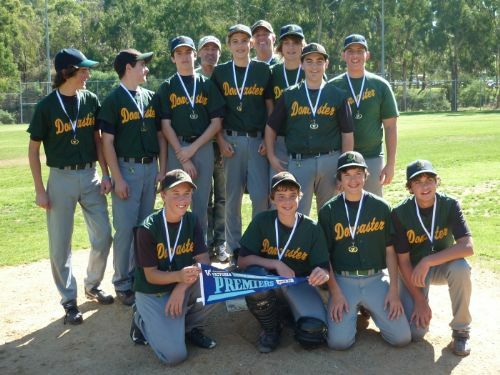 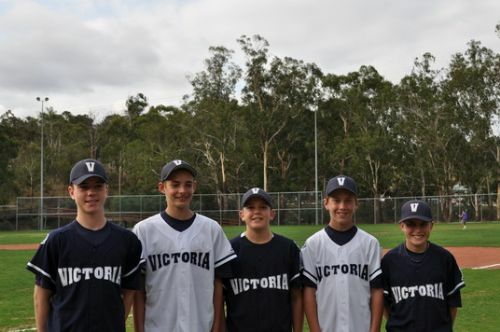 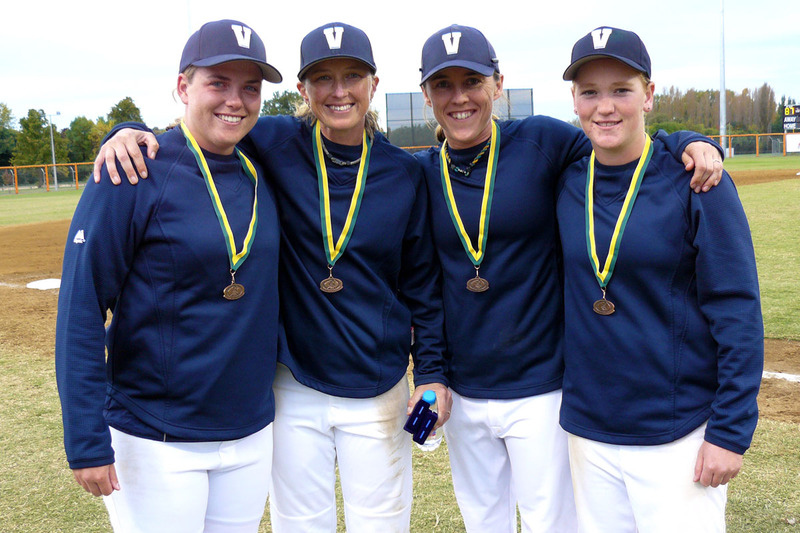 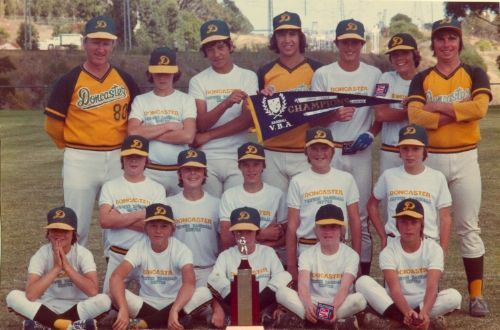 Westphal’s resultant professional signing was again testament to the value of gaining exposure in our local competition and is a boost for Victorian and Australian baseball. 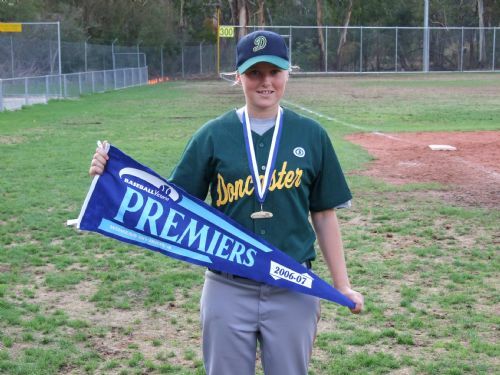 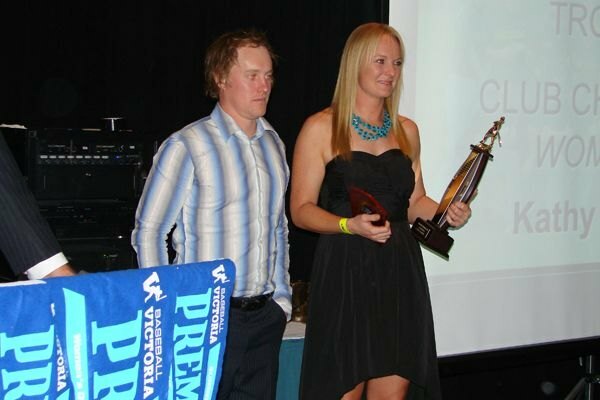 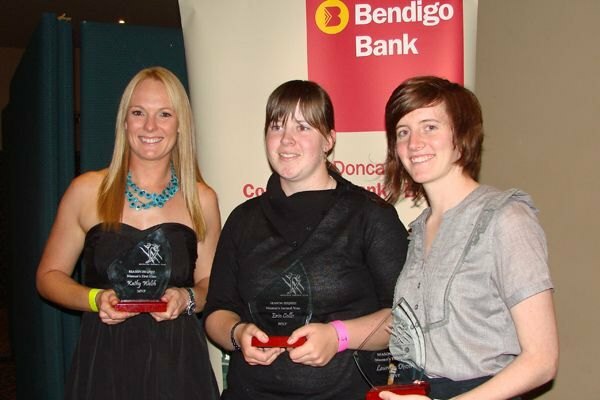 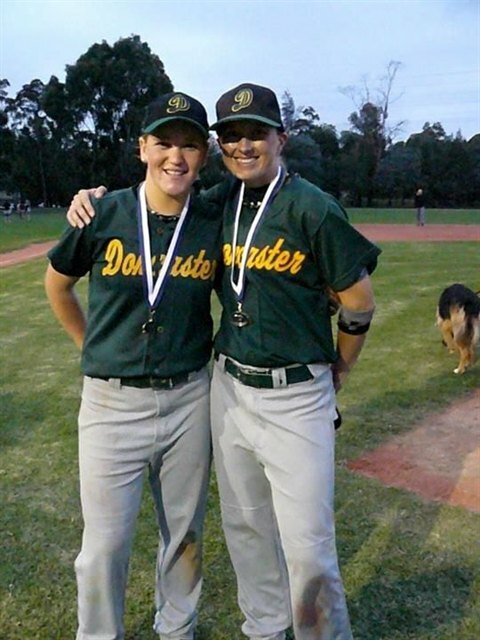 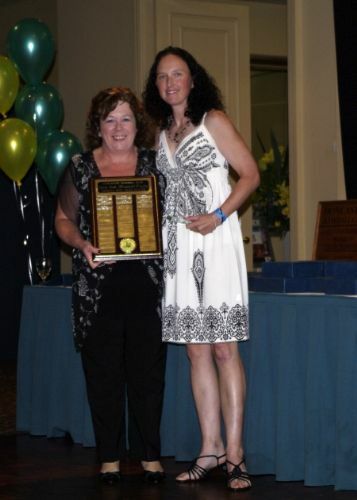 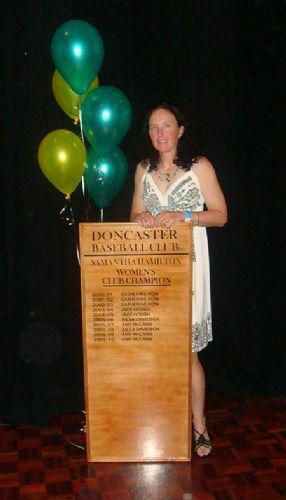 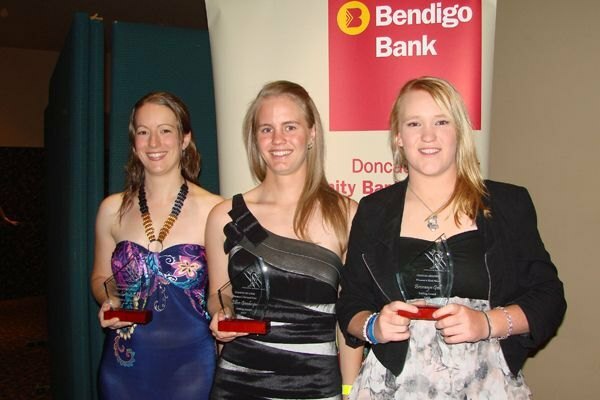 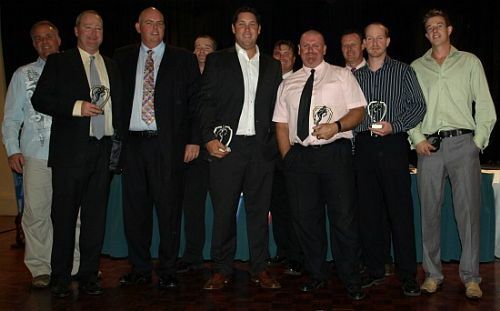 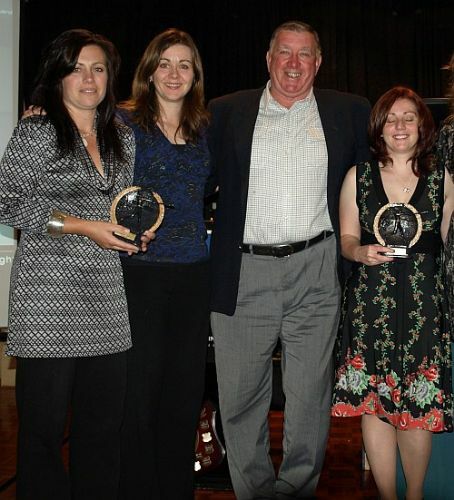 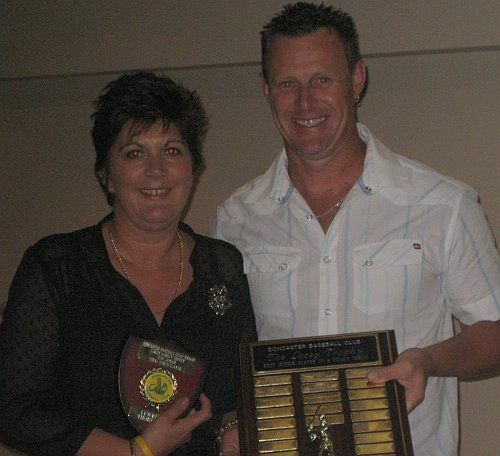 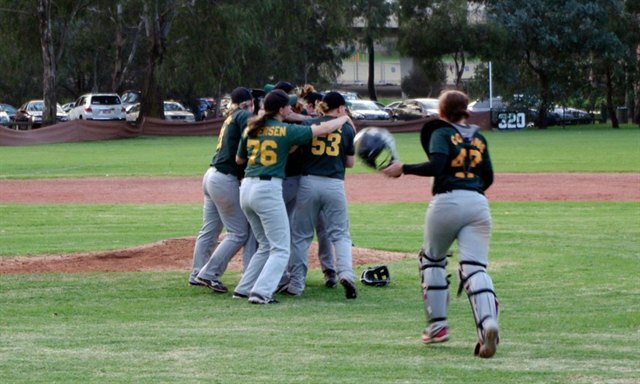 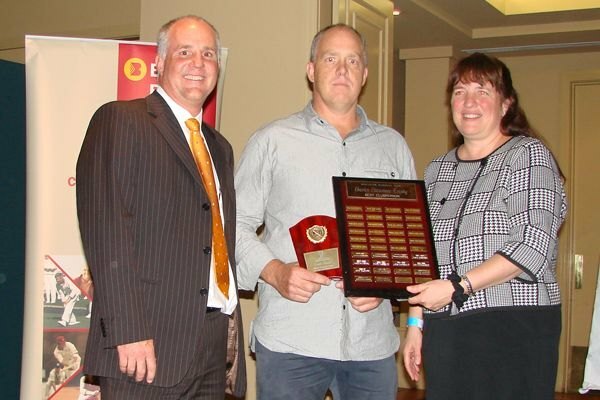 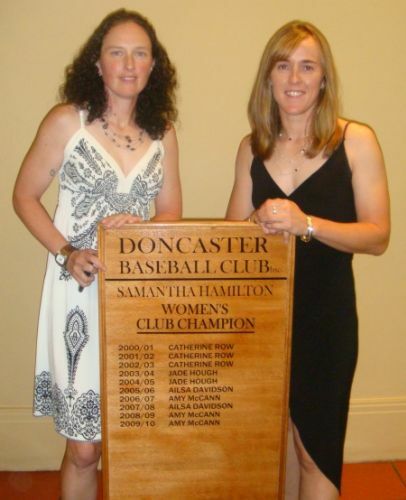 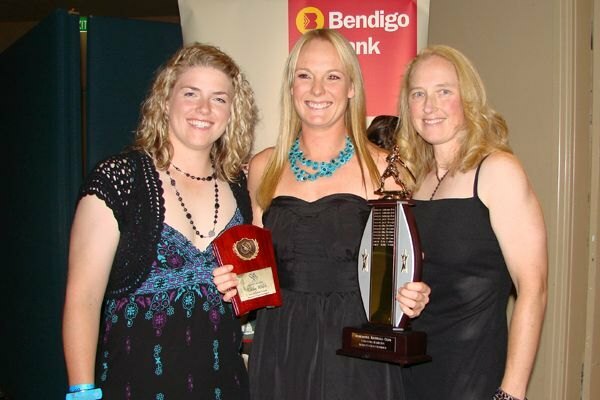 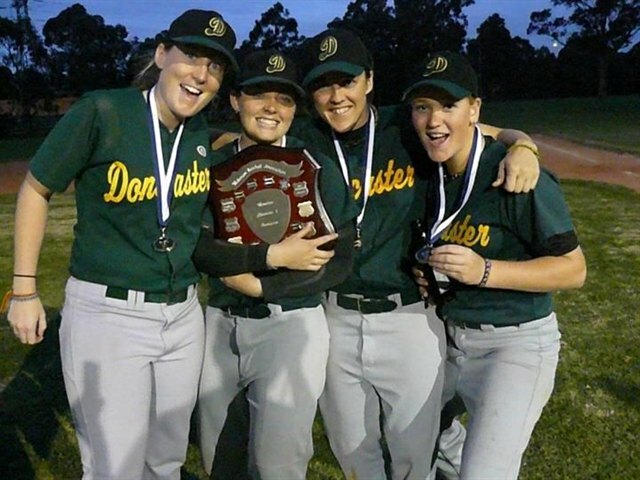 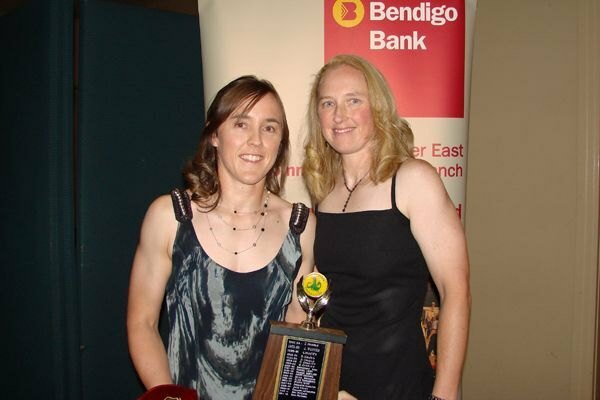 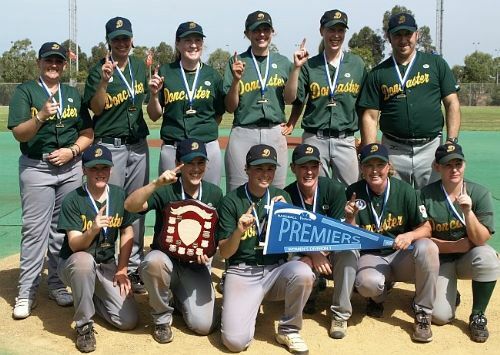 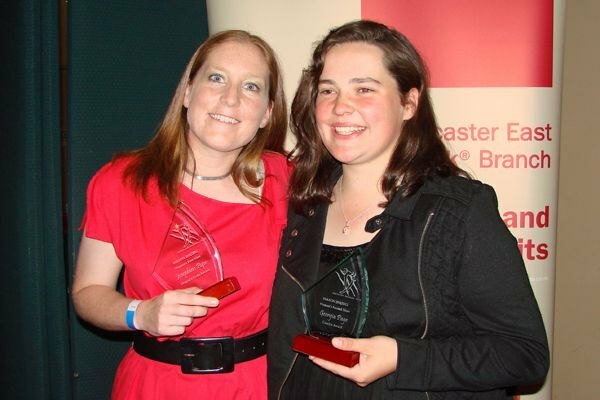 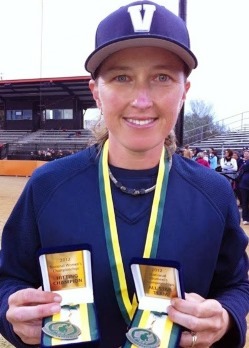 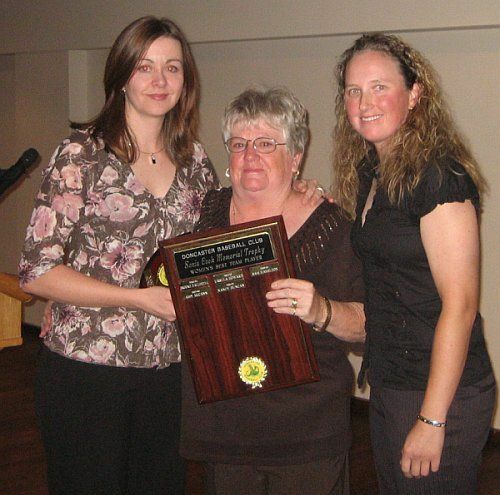 Belinda Cannington made it an all-Dragons affair as she was crowned the 2014/15 Women's League MVP. 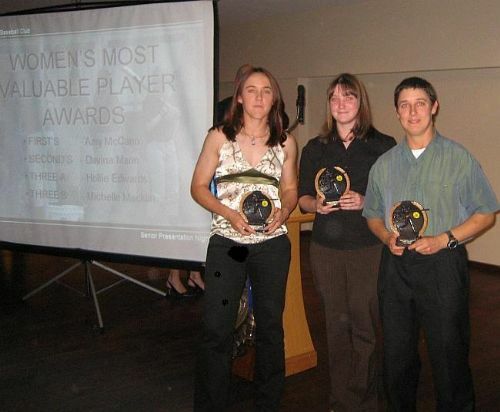 This was the second time in the club's history that we were home to the reigning league MVP's in both Men's and Women's competitions. 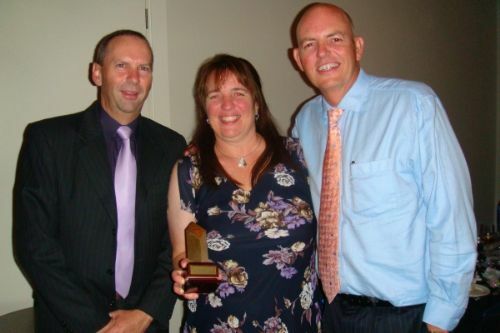 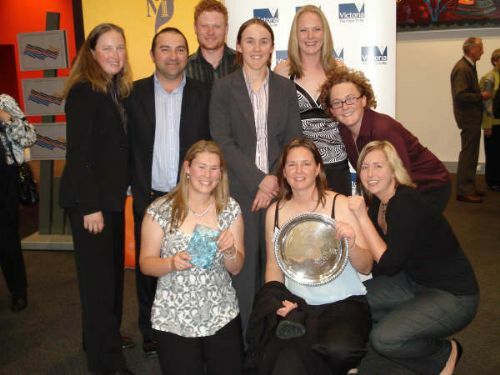 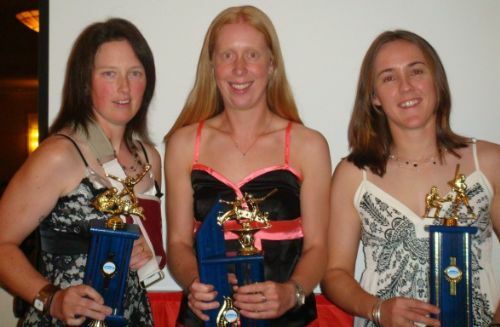 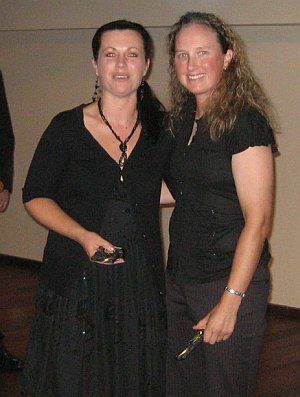 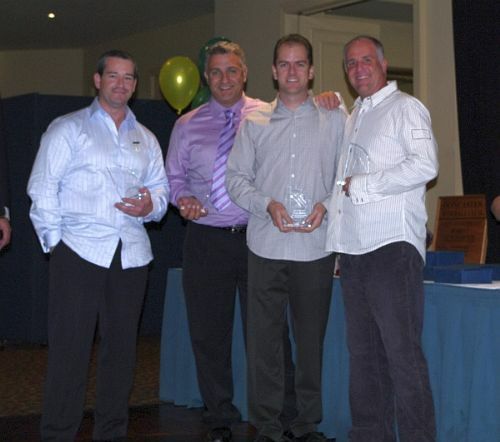 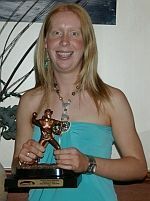 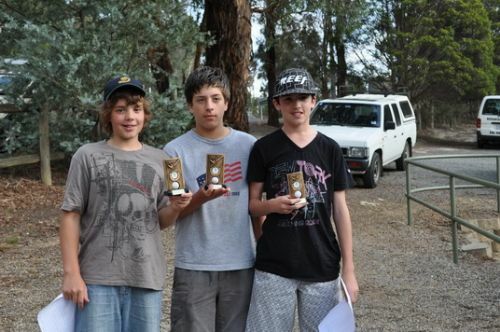 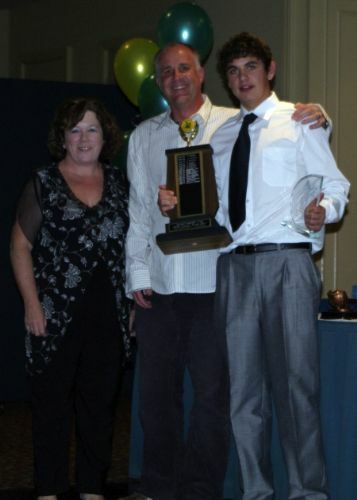 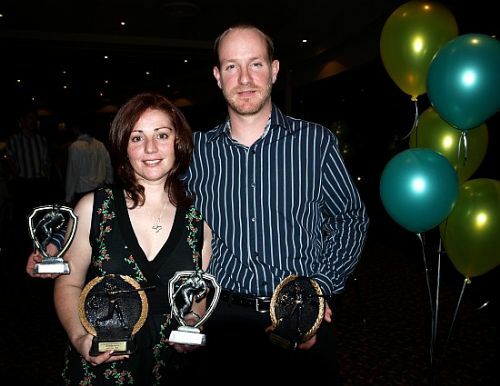 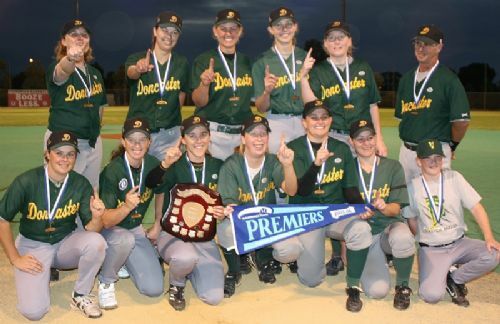 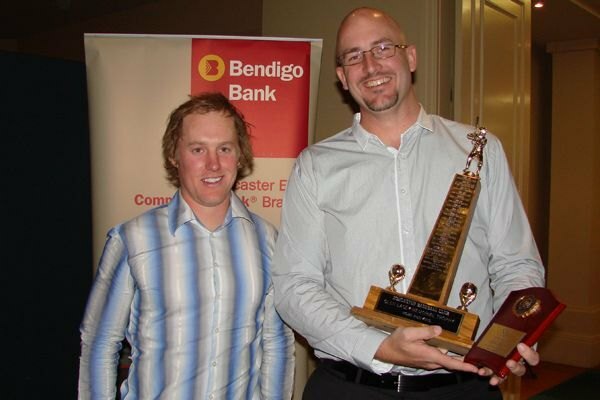 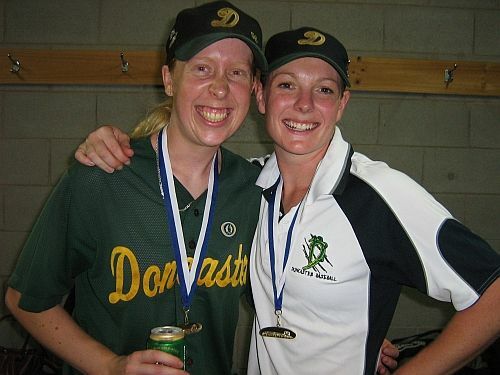 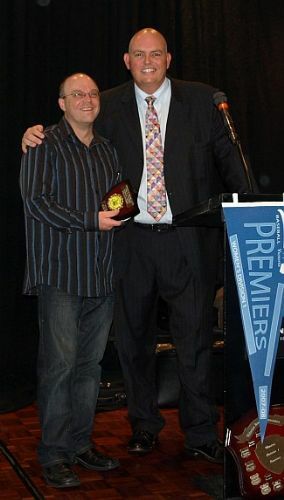 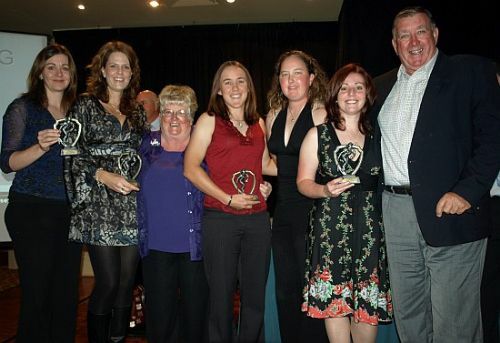 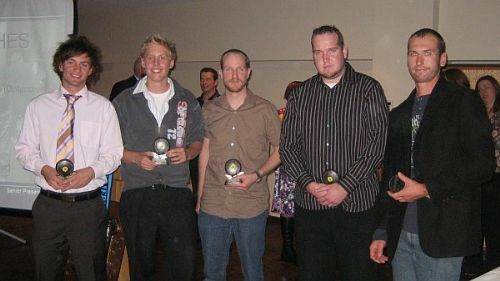 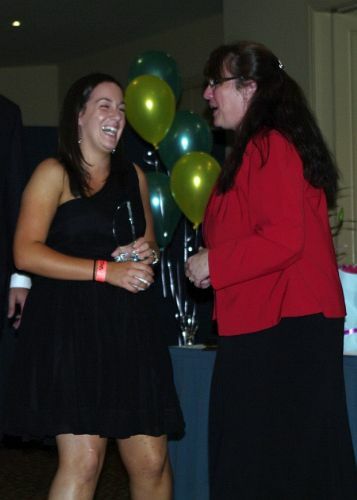 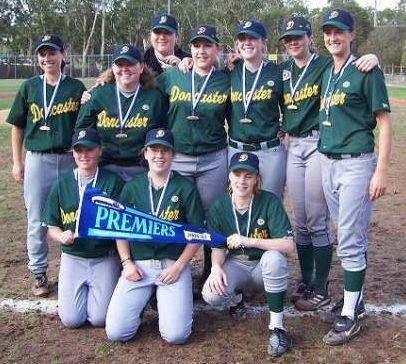 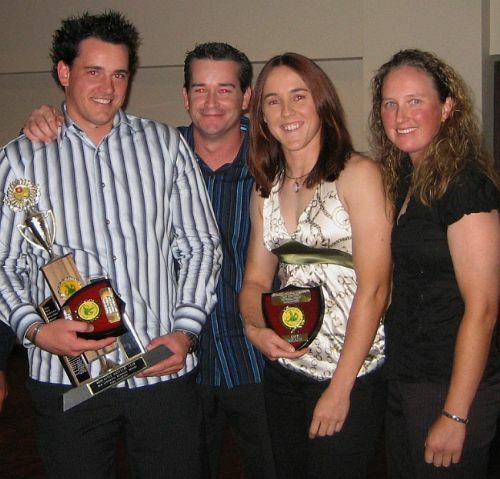 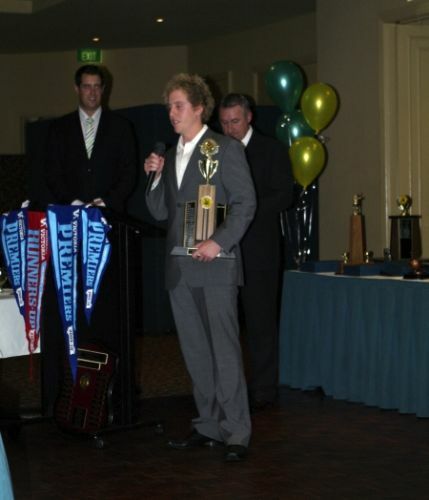 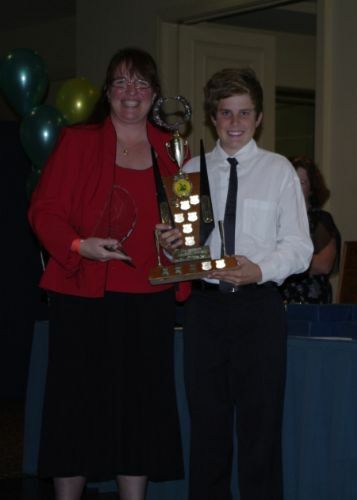 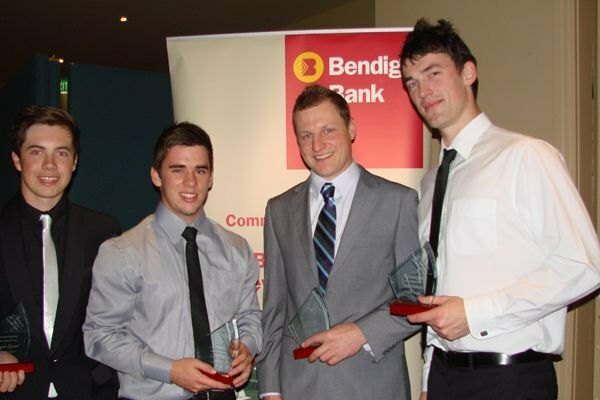 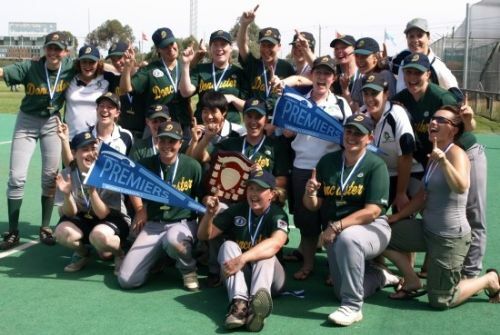 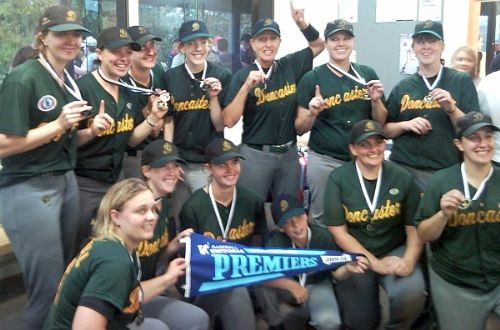 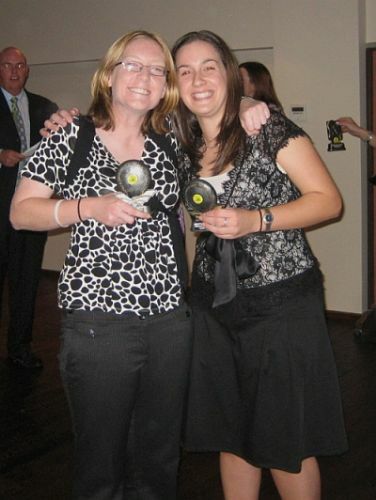 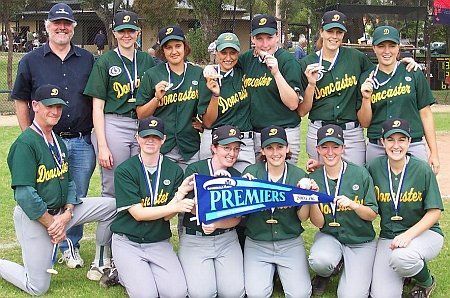 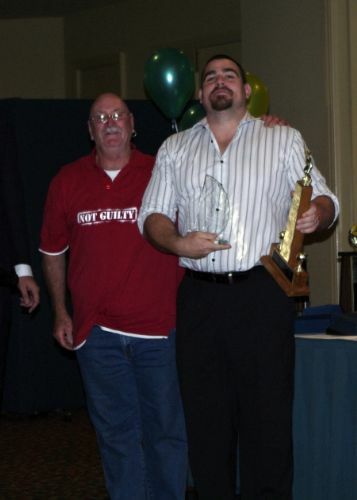 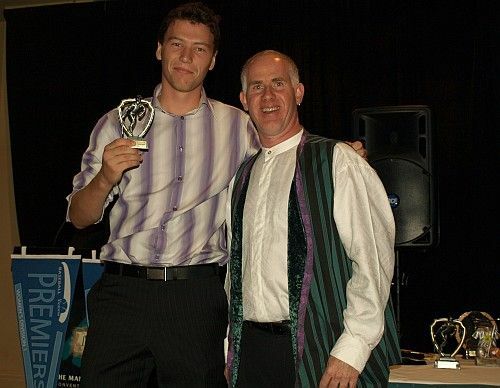 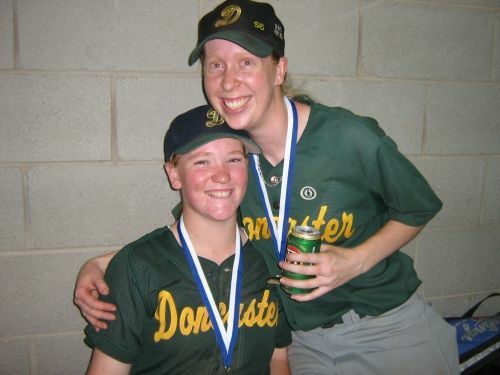 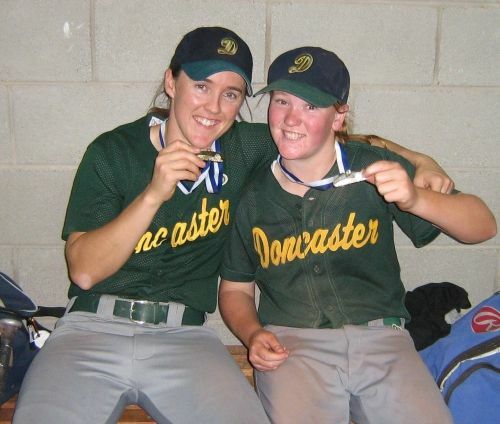 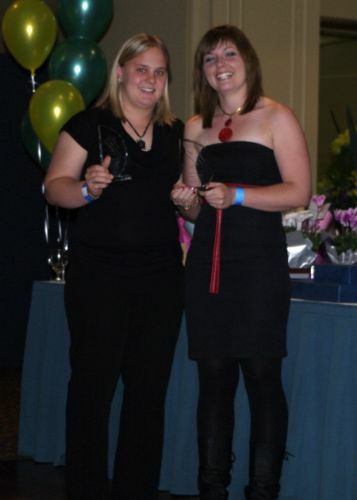 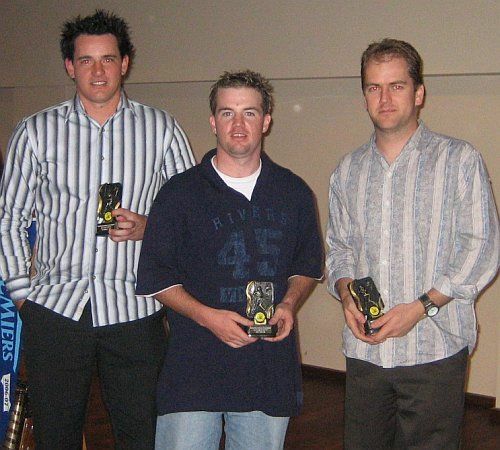 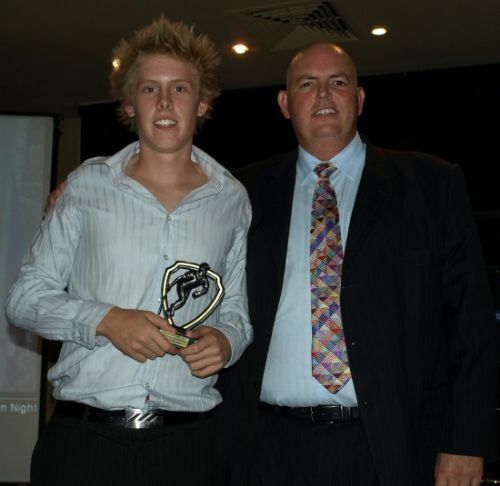 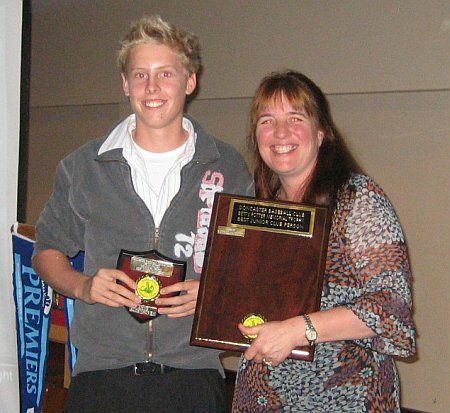 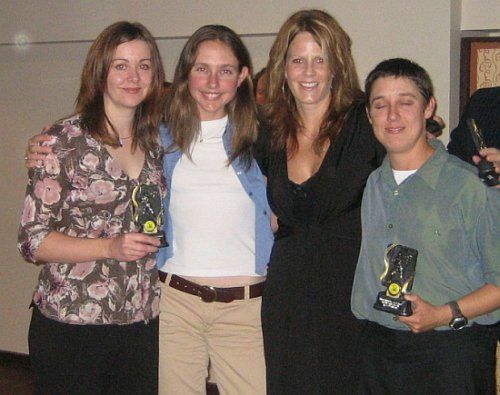 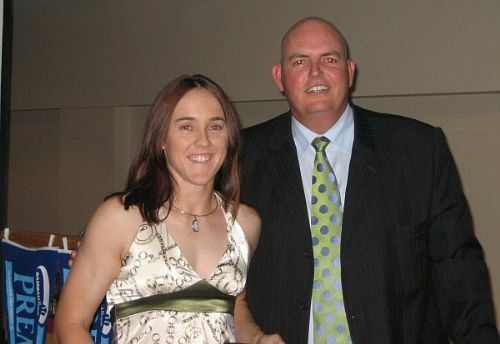 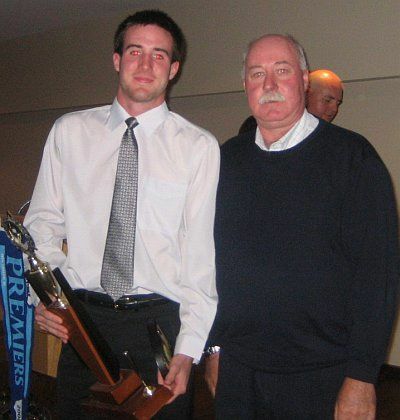 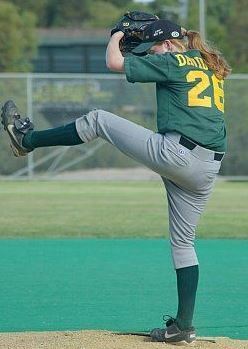 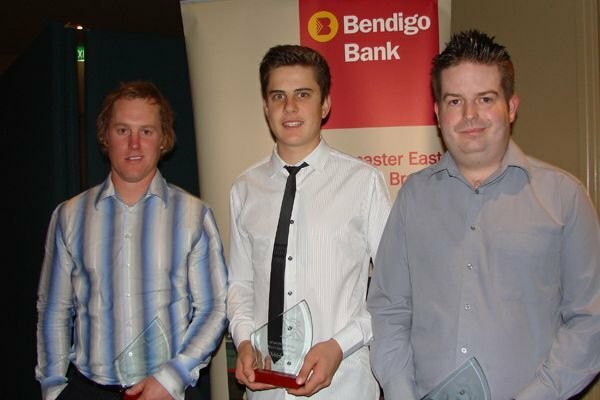 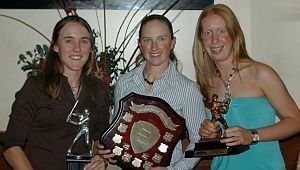 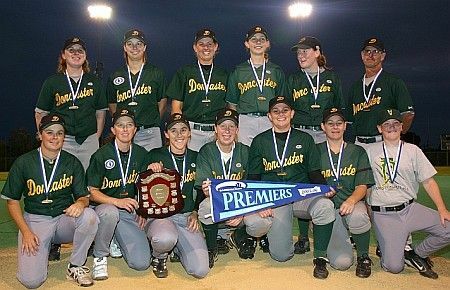 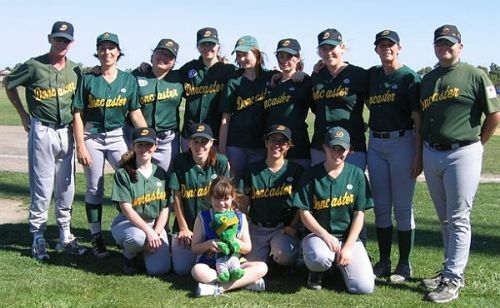 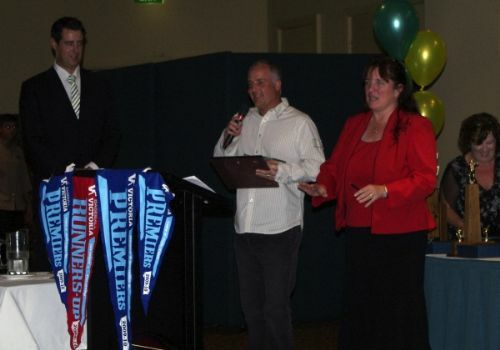 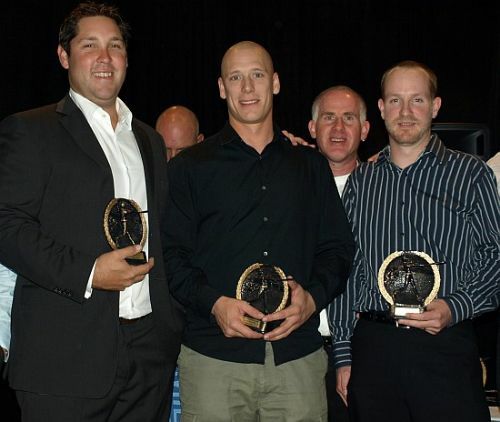 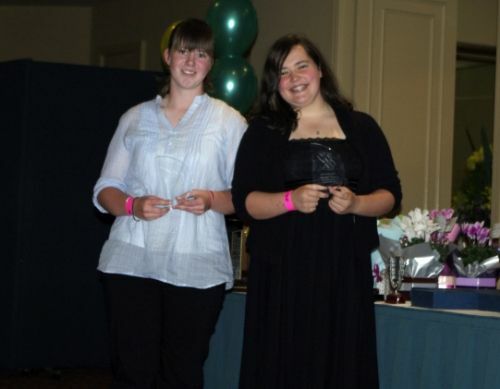 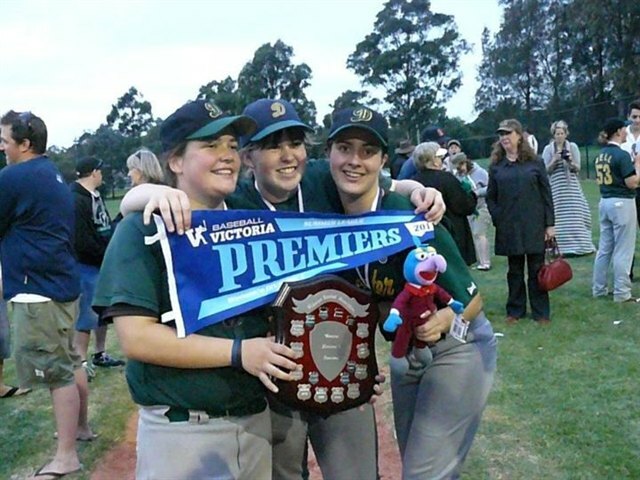 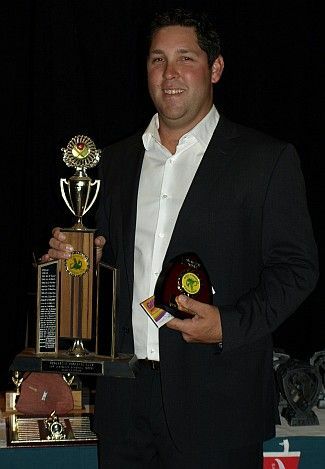 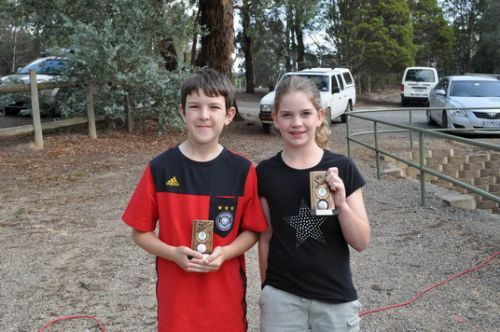 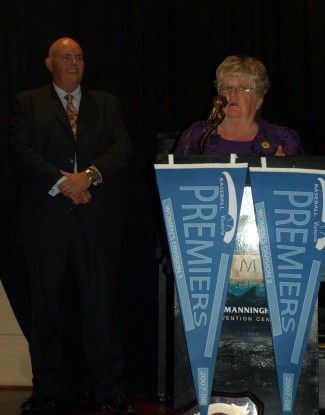 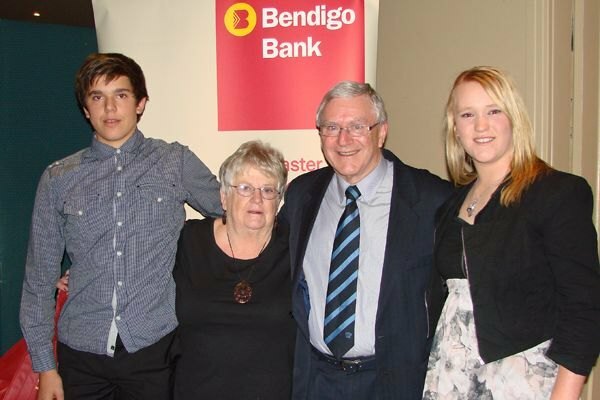 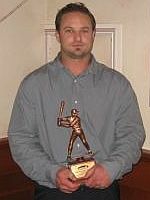 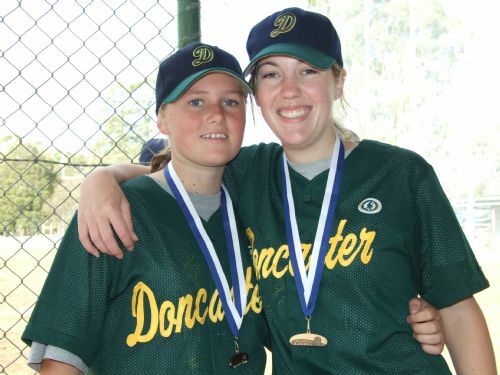 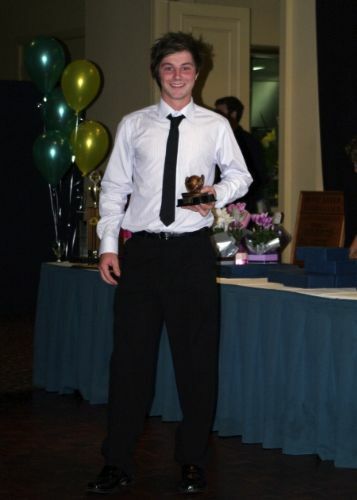 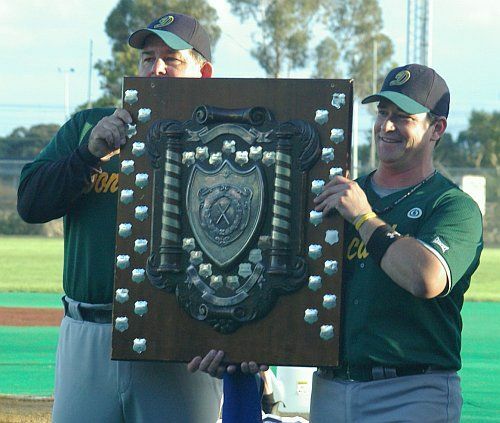 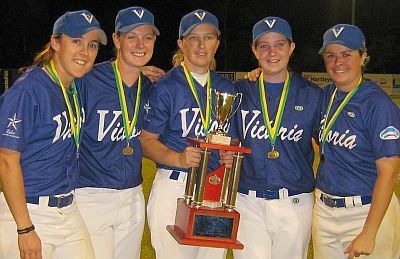 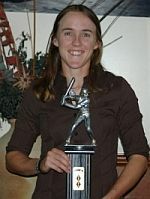 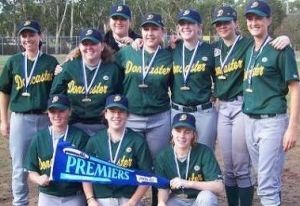 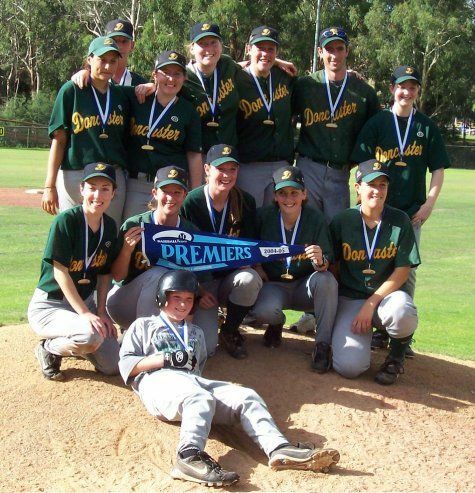 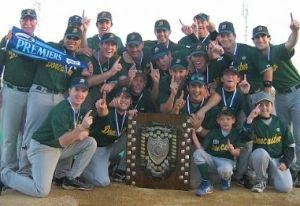 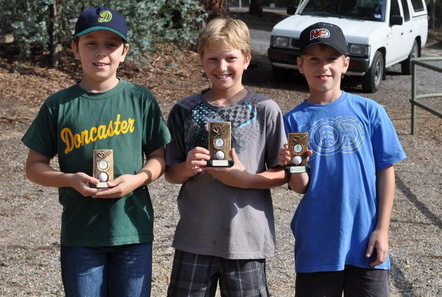 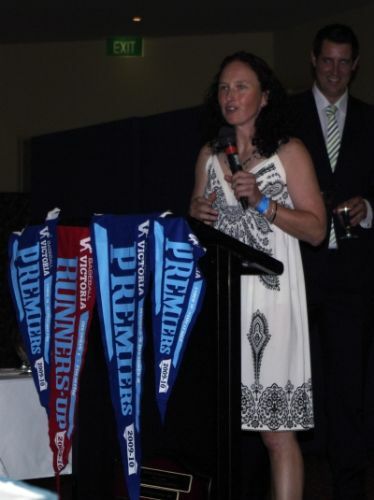 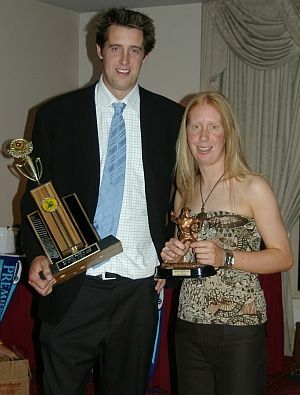 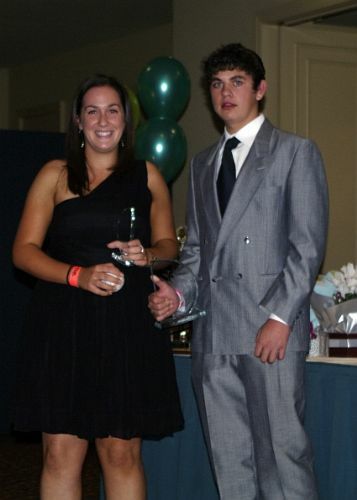 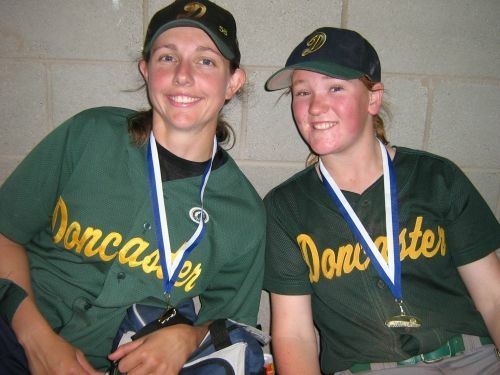 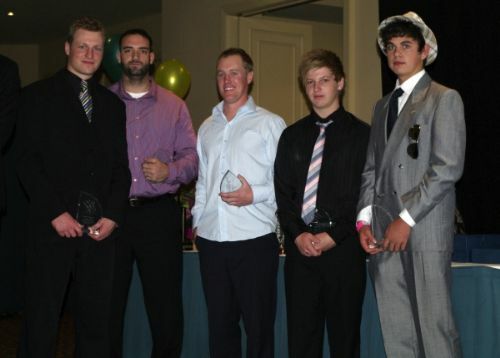 The previous occasion was in 2007/08 when Ailsa Davidson and Jason Blejwas took out their respective League MVP honours. 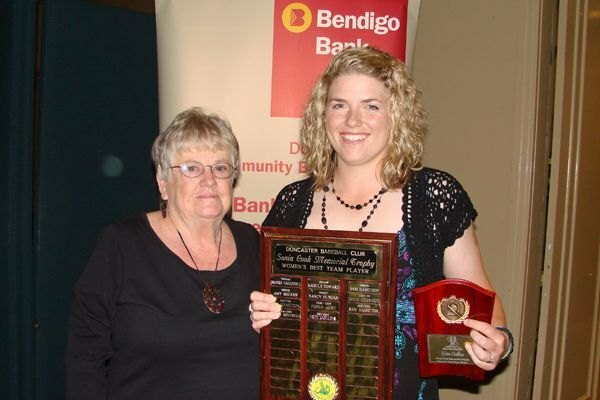 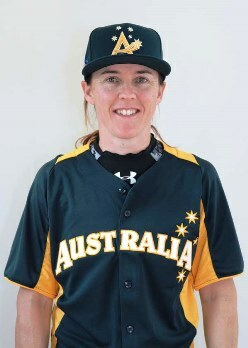 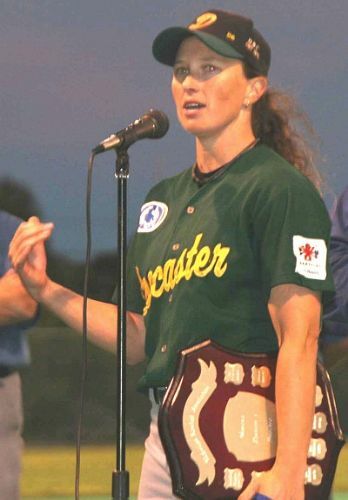 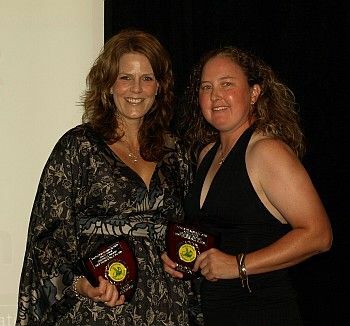 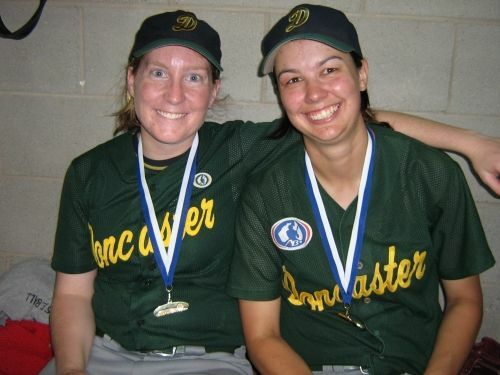 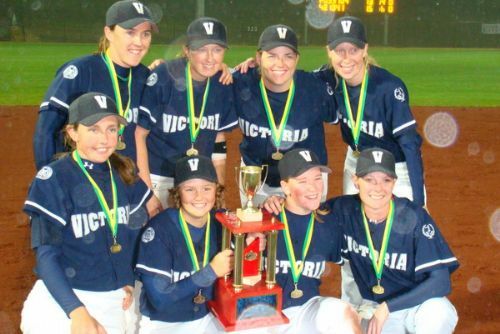 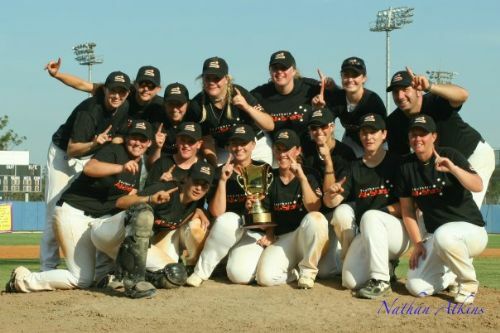 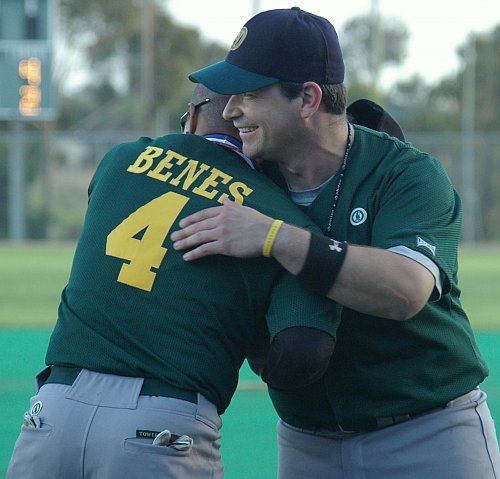 Belinda backed up her 14/15 win by again being crowned the 2015/16 League MVP with an impressive .537 batting average, 15 RBI's and an on-base average of .638 in her 16 games.